Google has just made a shocking announcement about shutting down Google+, the social network that was launched to compete Facebook. According to the company, Google+ failed to get user attention and over 90% of the user sessions created for no more than five seconds. Google+'s API was also accused of some security concerns recently so instead of making Google+ more secure, they decided to halt it. In March 2018, a bug was discovered in a Google+'s API that was making it possible to access data of private Google+ profiles. The data fields that were accessible are the name, gender, age, occupation, and email. Google did not inform its user initially and as per the company, they cannot confirm which users were impacted. Google+ will still be available for Enterprise users as Google says that Google+ is the best product as an internal social network. Google is also planning to announce new Google+ products that will be based on their Enterprise customers. "The very low usage (is the reason) we decided to sunset the consumer version of Google+." said Ben Smith, Google's Vice President of Engineering, in a blog post. Project Strobe, an internal investigation, was behind this decision. Project Strobe looks security controls and other privacy-related issues. It also looks for the reasons behind low user engagement as well as the implementation of new privacy controls. Google Plus users can download their Circles, Communities, +1 and Stream data from this Takeout page. "Why have we been encouraged to create and post content for months if the platform was going to be shut down?," wrote Paolo Amoroso in Google+ Create community. Elizabeth Hahn wrote in a post on Google+, "Wish Google had been more tactful about this. It makes it very hard to trust any new products". "I stopped trusting Googles dedication to their softwares longevity and their respect for their users a couple of years ago. Which didn't stop me from enjoying plus, drive, keep, Gmail and photos. But I don't have any faith that any service or software that Google launches, including their hardware, will ever stick around, and while this isn't surprising at all, the writings been on the wall for years, it's still one less reason to pick up anything new by Google. ", wrote Mike Koontz on Google+ create community. "Well... it is time to move on... What I have learnt now is that you should not invest your "life" at a social network online. ", wrote Ivar Choi Espedalen. "I can only assume that this "sunsetting" wasn't something that had been planned but is somewhat of a knee-jerk reaction. Or at least, it was made clear to the Google+ employees that they weren't allowed to share the plan with us. It's sad and frustrating. I'd like to be hopeful that there is some sort of migration for us as a group within the Google world. ", wrote Luci Westphal. In apparently a public letter to Google Georgi Kaua wrote: "Hello Larry Page, Sergey Brin everybody make mistakes all the time. By shutting down Google+ you guys are shutting down to hundred of millions of people the freedom of expression they have on this platform they so dearly love. They choose Google+ over others social media. Please don't take that away from us. Larry Page i wrote on your post when you guys created #Alphabet and i asked if you guys still love Google plus, you Larry Page to my surprise responded 'yes we still love g+'. Please let that love and this platform lives on. This platform is a jewelry is one of the many best things you guys created. 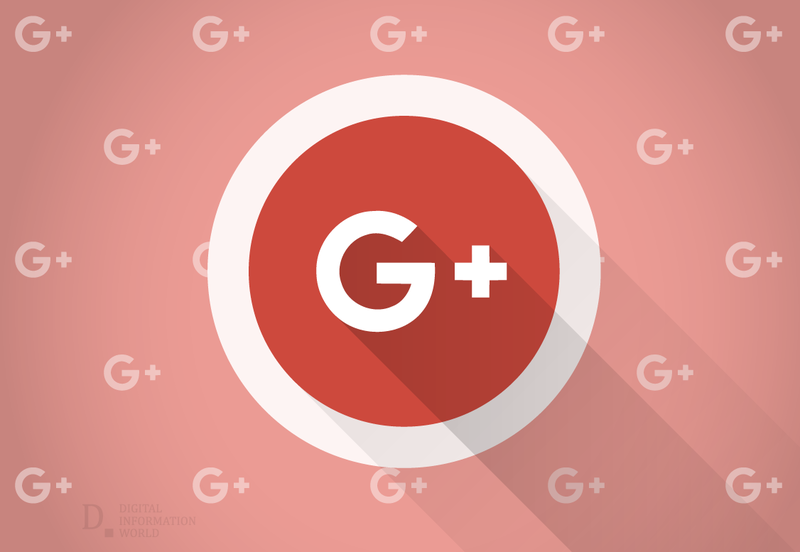 I hope you guys will do the right thing by letting +Google+ live on for many years to come, long live #GooglePlus." Surprisingly someone started a petition titled "Don't Shut Down Google Plus" on Change, and more than 7300 users have already signed it. David R Robinson said, "I'm beginning to feel like Google's tagline needs to be "Google, where we create really cool things, but never actually finish them and once you've invested in them long enough to where you think we might we finish them, we pull the plug". I definitely have been burned enough times that I'm not very likely to hitch my wagon to their horse again." "I'm gonna miss this place and all my 3.65 million followers! Rest in peace Google plus! #RIPGooglePlus", a Twitter user reacted. I'm gonna miss this place and all my 3.65 million followers! Rest in peace Google plus! "Someday I really should write a book about what it was like to be the most famous real person in the world on a social network absolutely nobody cared about... ❤️ Oh Google+ cheers to you." Tweeted Amanda Blain. Google Is Shutting Down Google+ After Exposing Data Of Up To 500,000 Users. SHOCKING. Never Knew Google Plus Had 500,000 Users😲🤔🤯, another tweeter's reaction. "I'm grateful for the friends I made here on Google+! ", Peg Fitzpatrick. "No Time for Tears. I am really sad as this space is winding down and I want to be angry. Yet this is the reality: it's a journey. It transformed us (me at least). I am glad I was here (still am). What happens next will be better because of all this. I value you all, more than I can say. ", expressed David Amerland in his Web Culture collection.